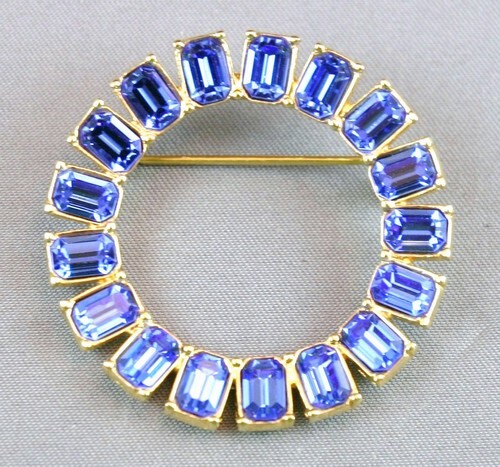 Monet goldtone circle pin with blue rhinestones. The brooch fastens with a c-clasp. It's about 1 1/2 inches in diameter, with 18 stones each 5mm by 7mm.